The fam and I recently made a trip out to the east coast to visit friends and family. We found ourselves spending a rainy day in Baltimore. Before making the 45 minute drive up from the DC area, we did a little online research to see if we could find ourselves some culinary delights. And culinary delights did we find. 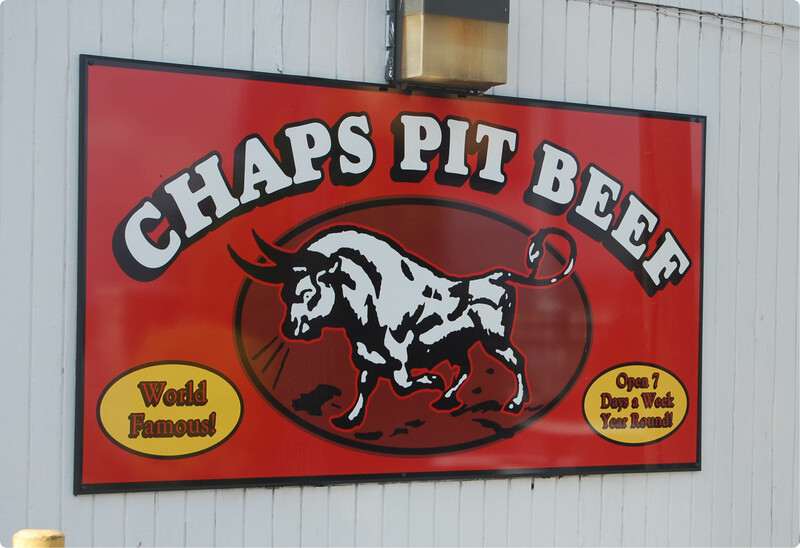 Our first stop was to Chap’s Pit Beef, a little shack nestled in an industrial part of town right in front of a lovely gentleman’s club. The area felt plenty safe when we arrived at noon and people flocked. 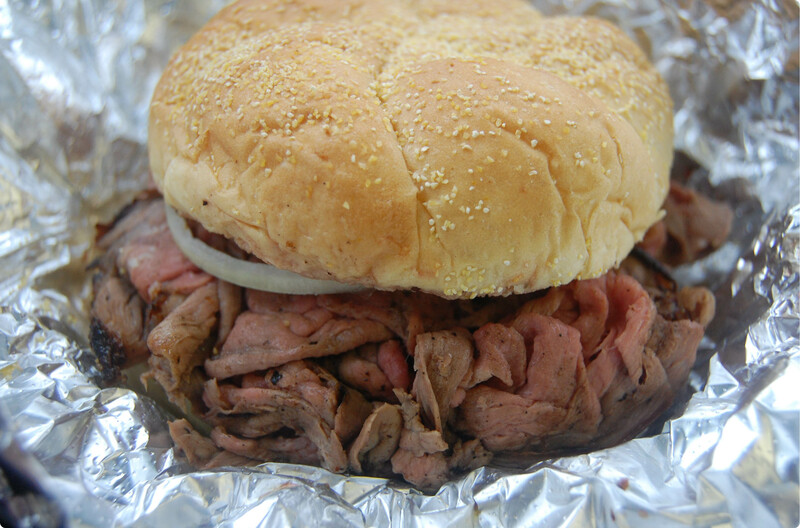 The line was out the door, in the rain, filled with people of all kinds waiting this pit barbecued beef. Tom and I both ordered the straight beef sandwich (their claim to fame). You are able to order the beef how you like it, so we chose medium rare. You are able to top your sandwich with condiments lined up on the counter. We stuck with Guy Fieri’s version from Diners, Drive-Ins and Dives with adding horseradish and onion. Ladies and gents, this beef was delicious. In between eats, we made our way over a few miles into the city to the Baltimore Children’s Museum, Port Discovery. We were pleasantly surprised and wowed by this museum. 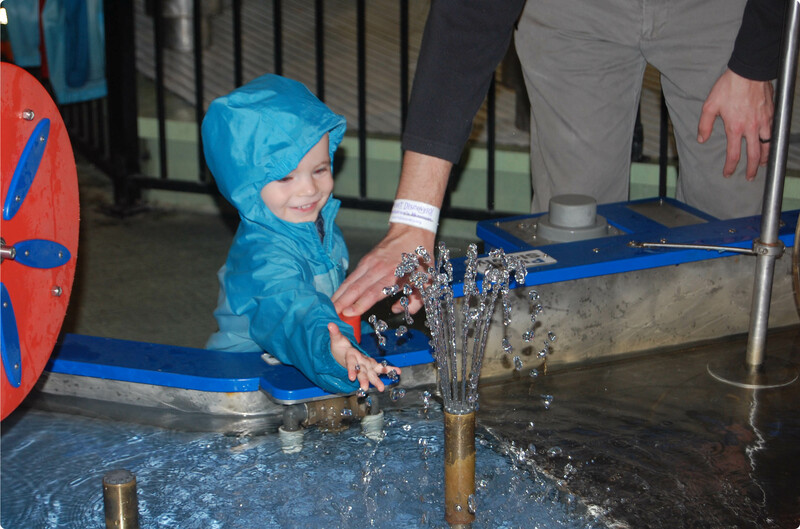 Lincoln had an absolute blast, crawling up cargo nets from level to level of the museum and strapping on a raincoat and Crocs to play in the awesome (and educational) water room. The museum was great for Lincoln who is 20 months old, but would be great for older children as well. If traveling in Baltimore with kids, definitely worth the stop! Our last stop for the afternoon was to a place close to my heart, a pie shop. 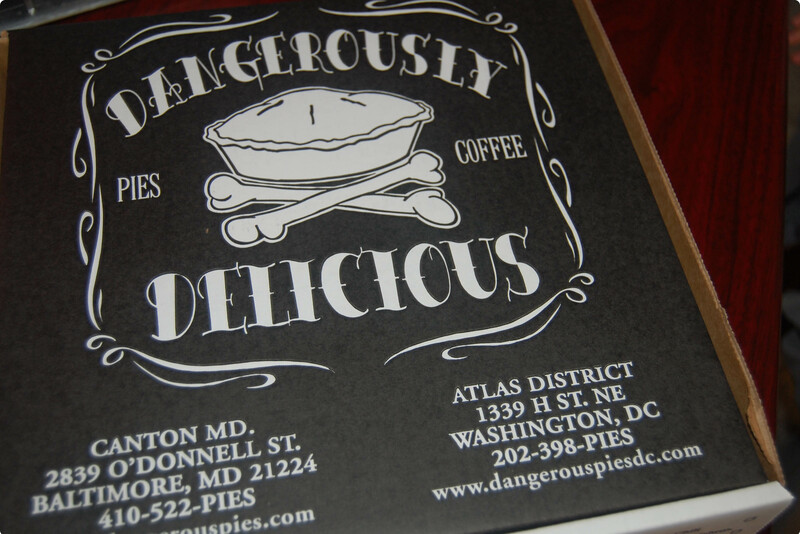 I couldn’t make it out of Baltimore without hitting up the highly praised bakery Dangerously Delicious Pies. Accurately described by its skull and cross-bones pie logo, this shop in the adorable Camden neighborhood is filled with 6 ft plus tall men with tattoos, baking pies. 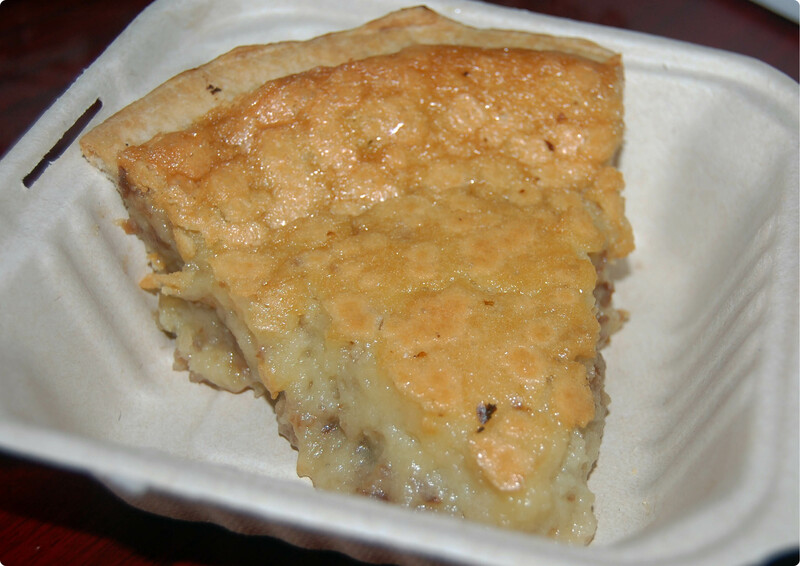 The pies range from sweet to savory, with items like “White Trash” Creme Brulee Pie, Crab and Cheddar Quiche and Tomato Fennel Pie. The pie shop was rather crazy being the last couple days left from their Living Social deal, so the options were rather limited and the atmosphere was a bit chaotic. We still got our pie. 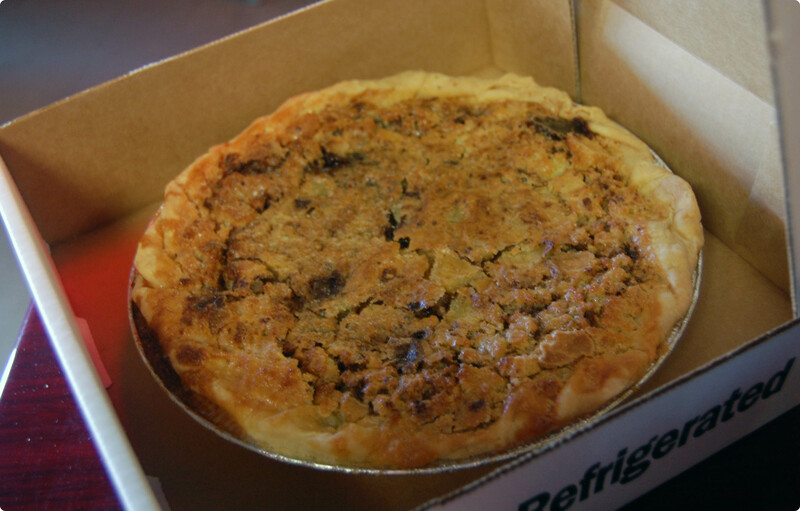 We picked up a very warm whole Baltimore Bomb pie that we shared with friends and family. The pie contained a Baltimore favorite Berger cookie (a cake-y cookie covered in fudge) which are melted down in a custard filling. I’m not a chocolate eater, so I cannot comment, but the comments from friends and family said it all. They were obsessed. I ordered myself a slice of Coconut Chess Pie. Chess pies are a southern pie with a very sweet custard filling. This pie was sweet and delicious, especially being so warm right out of the oven. A family function was beckoning us that evening, so we did not spend our evening dining at any other Baltimore foodie joints, so no Maryland crab for me. But these two places are definitely worth a trip if you are looking for casual and hearty delicious dining. Stay tuned for my attempt at making a Southern chess pie sometime soon! They say everything is bigger in Texas. After my last vacation, I tend to agree. My family and I recently had the pleasure of traveling down south to San Antonio, Texas to visit some family. 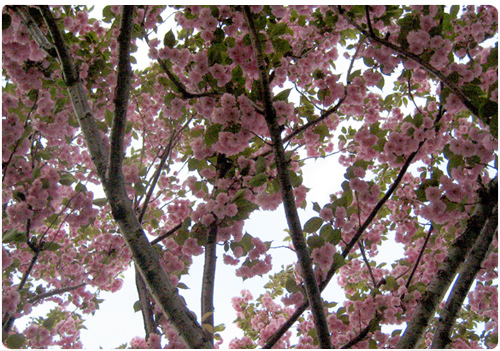 Not only was this vacation a wonderful break from the dismal, poor excuse we have had for a spring, but it was very pleasing on the tummy as well. It was, what I like to call, a foodcation. We spent our first day in San Antonio visiting the Alamo, walking the RiverWalk and heading down to Market Square. If we didn’t have the little one in tow, we likely would have feasted on the fabulous smelling street fare. We decided to dine at Mi Tierra. This mole was one for the books. It is by far the largest restaurant I’ve ever dined in (again with the bigger in Texas saying) and it hosted a menu of delicious traditional Mexican dishes. Upon arrival, I told my brother-in-law I was interested in visiting some of the places I’ve seen on various food shows on cable TV. He did not disappoint. 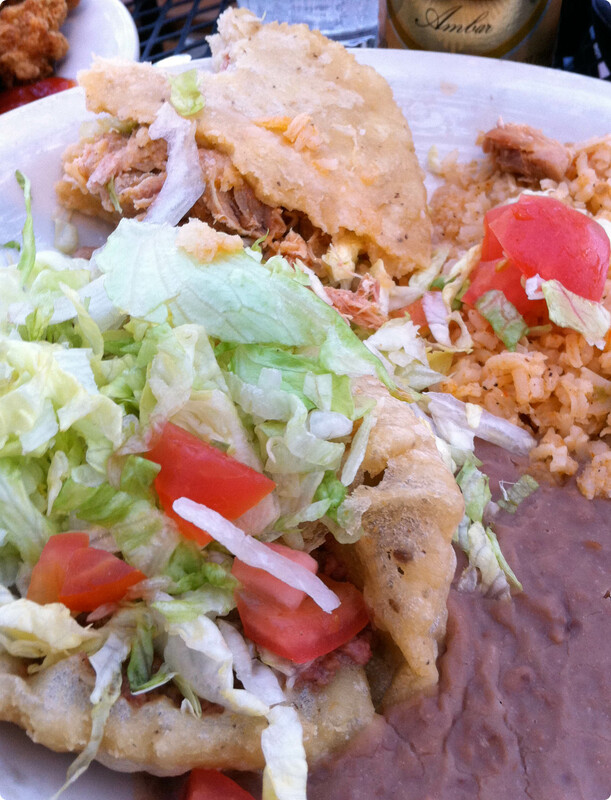 The first food destination was La Hacienda, home of the puffy taco. 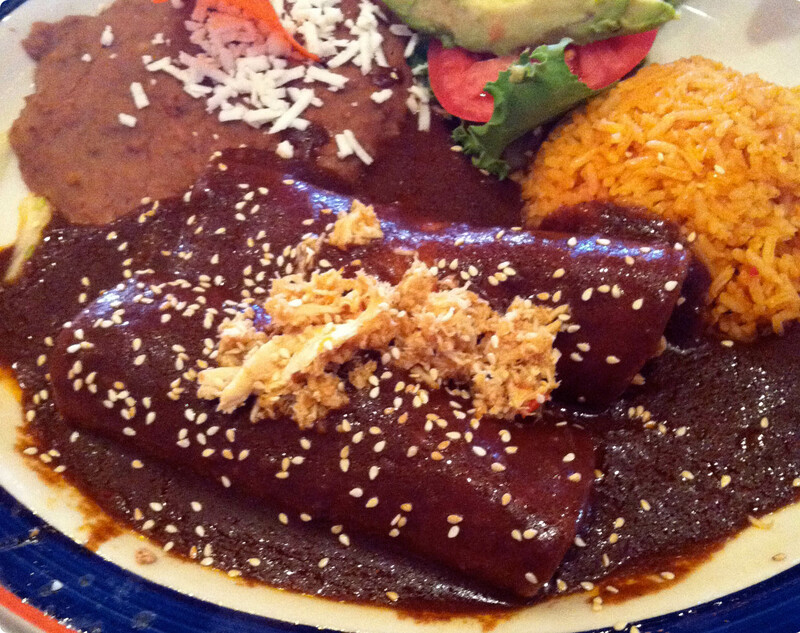 Bobby Flay visited La Hacienda and threw down on this San Antonio favorite and lost! A puffy taco is made by frying corn tortilla dough for the shell. I ordered the puffy taco in both beef and chicken. If I had to do it all over again, I would just order the beef. But the meal was great and the ambiance was even better. We sat outside at the largest outdoor eating area I’ve ever sat in (again, the biggest) and listened to a local singer cover some good tunes on his guitar. 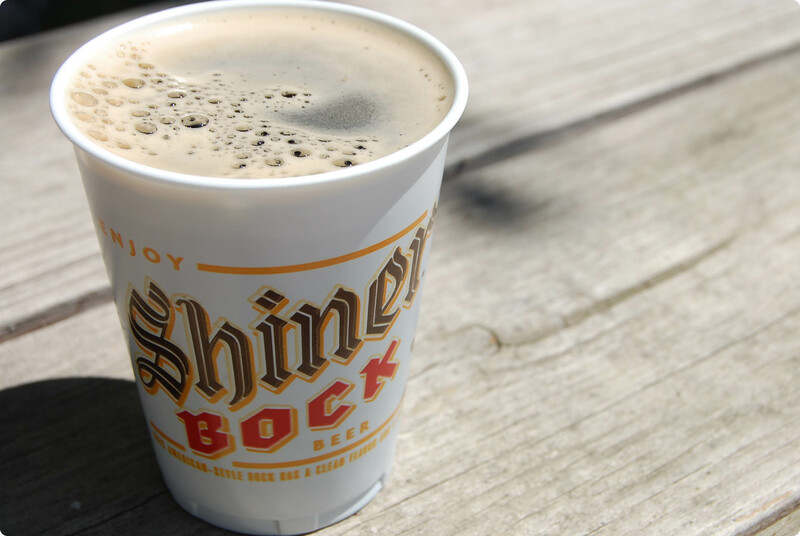 The following day we headed to Shiner, Texas to tour the brewery of one of our family favorite brews, Shiner Bock. Shiner, Texas is an adorable, quaint Texas town. The Spoetzel Brewery pops up right along side the road. A free, short tour of the facility lands you four tokens to sample these tasty beers. If you enjoy beer, adorable Southern towns and beer, Shiner is worth the trip. 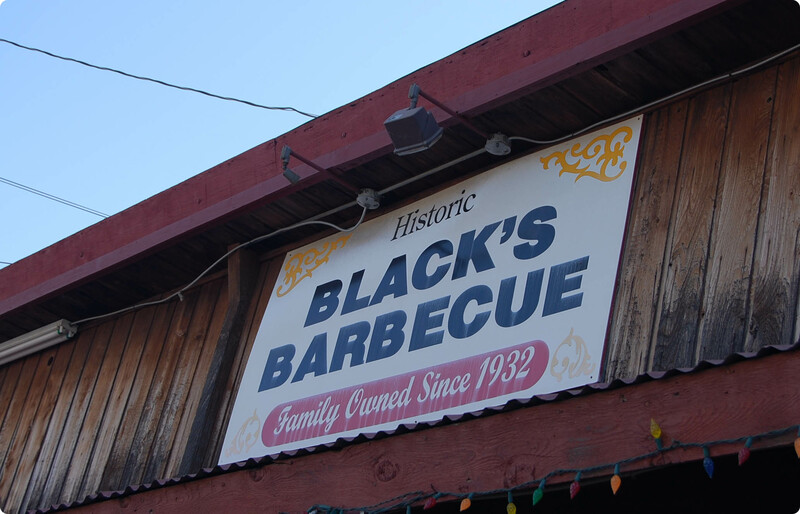 The second of our food show stops was to Lockhart, Texas to visit Black’s BBQ. Black’s was featured on the Travel Channel’s Barbeque Paradise. A friendly, rustic place, the smell of Black’s invites you in. 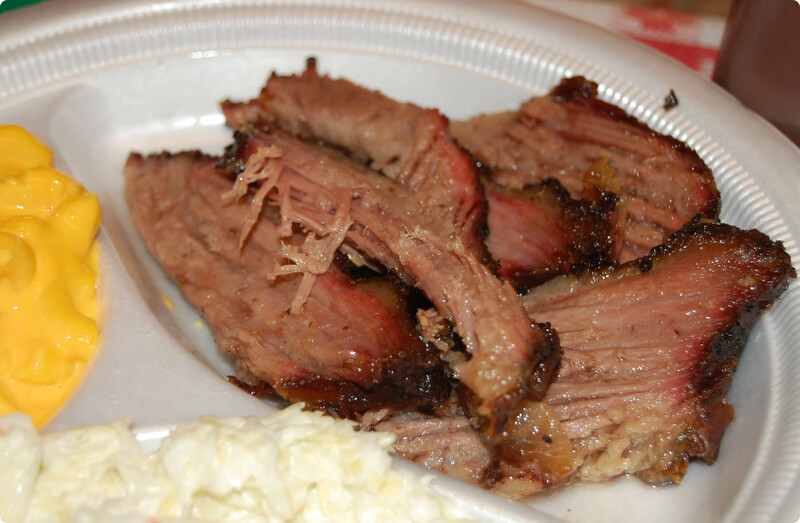 They do not add sauce to their brisket and there is a reason for that. It doesn’t need it. Smoky and savory, like nothing you can get in Wisconsin. If that weren’t enough, the following morning we headed over to Lulu’s to complete the food trifecta. Lulu’s was visited by Man v. Food host Adam Richman, who conquered not only a whole chicken fried steak meal but topped it off with a small 3 lb. cinnamon roll dessert. 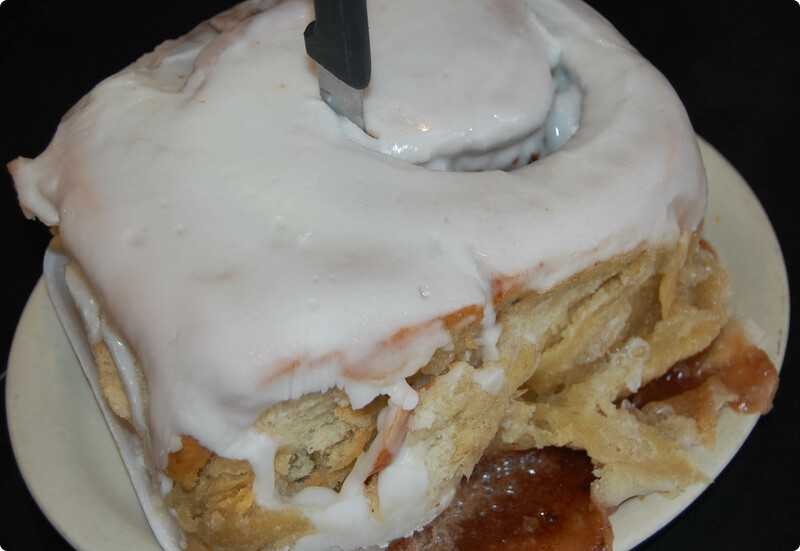 Don’t go to Lulu’s looking to try a small cinnamon roll. This is Texas. They don’t have small ones. It’s 3 pounds or nothing. For only $7.99, we had to try it. We thought that perhaps a cinnamon roll this large would be too dense and too sweet. Not the case! It was warm, fluffy, and bursting with ooey gooey cinnamon goodness. Four adults and one Lincoln (who may have counted as two adults, quite frankly) finished about three-quarters of the roll. The rest was delicious the next morning zapped in the microwave. The other breakfast items at Lulu’s are to die for as well. The chorizo and egg breakfast taco helped balance the sweet taste buds in my mouth. Overall, it was one fantastic foodcation. San Antonio does not disappoint when it comes to cuisine. The best part is, there are plenty more places we want to try the next time we visit! But I may be going back for the cinnamon roll. As you read this, I’m probably wandering canal-side in Amsterdam. Yep, the hubs and I are on vacay in Amsterdam, Belgium and Luxembourg and since Belgian beers are playing a starring role on our trip, I thought it would only be fitting to spotlight them today. Belgians beers are complex enough for beer lovers but easy drinking, making them great to cut your teeth on if you’re just getting into beer. Like a fine wine, most Belgians should be served it in a snifter or a tulip glass to get the full aroma. Belgian styles can vary greatly from a spritzy, champagne-like saison or grand cru to a sweet, malty dubbel to a fruity lambic. When you’re drinking one, keep an eye out for key flavor characteristics like clove, banana, bubble gum, citrus and coriander, which come from using Belgian-style yeasts. For shortbread, preheat oven to 300. Beat together butter and sugar until fluffy. In a separate bowl, combine flour and salt. Grate lemon zest into butter mixture. Steadily beat in flour mixture until well combined. Cover cookie sheet with a double layer of parchment paper. Form dough into a ball and place on top. Roll dough into a 1/2″ thick circle and use your fingers to pinch the edges into a fluted shape. Using a fork, poke holes in the top in a ring-shape, working your way from the center outward. Dust with granulated sugar and bake for 40-45 minutes. For sauce, combine rhubarb, beer and sugar in a saucepan over medium heat. Cook for 5-7 minutes. Dust in cornstarch and whisk well, then add raspberries. Cook over med-low heat for another 10 minutes or until fruit is broken down. For whipped cream, combine cream, sugar and beer in a medium bowl or mixing bowl. Beat with a mixer until soft peaks form. Bonus! 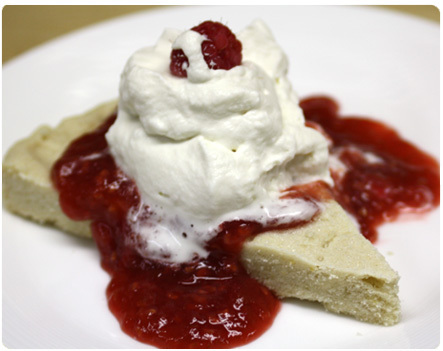 : Save the extra rhubarb sauce for ice cream, waffles or pancakes! Au revoir and Dag! 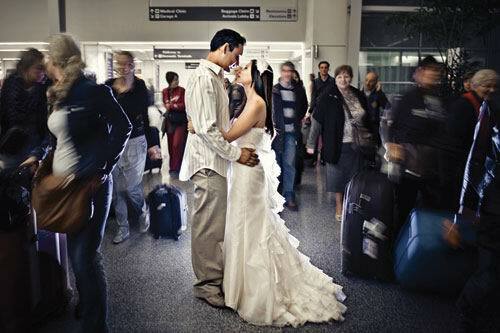 I’ll share more about my trip when I return in June for HAP Wedding Month – don’t forget to get your wedding submissions in! If you find yourself stuck in Milwaukee this Spring Break, don’t worry, there’s plenty of mid-winter fun to be had north of the Mason-Dixon. You may have hoped for beaches and 80 degree weather, but that’s a bonus not an essential. Spring break is all about getting away, letting loose, and hanging out….and fortunately, the Brew City has plenty of outlets for doing just that! Relax: The County Clare Inn: a quiet Irish inn with great Shepherd’s Pie and endless pints of Guinness on Milwaukee’s Eastside. Entertain: Iron Horse Hotel: a Harley lover’s top choice for a chic yet masculine place to kick off your boots. 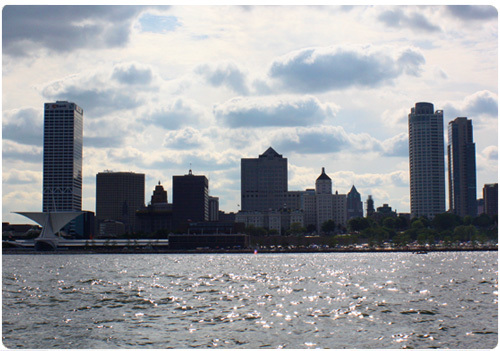 It’s close to downtown, the Harley Museum, Art Museum, Bradley Center, and nightlife. Explore: Hilton Milwaukee City Center is in a downtown location close to shopping and all the family friendly places..AND there’s a huge indoor water park in the lower level. Feel Chic:Hotel Metro: where many musicians and celebs stay while in town. Rock Out – Brew City Bruiser Roller Derby: These fishnet and rollerskate-clad, post-punk , PBR drinking ladies are racing at the Shamrock Smackdown on March 13th. Catch a Show – Pabst Theater, Riverside Theater, Turner Hall: Tickets for popular groups at these historic venues sell out fast, however, they usually release a few “holds” on the lower level at the Pabst and any remaining “box seats” at the last minute. Smaller clubs with local talent worth checking out include: The Cactus Club in Bay View, Shank Hall on the East Side and Mad Planet in Riverwest. 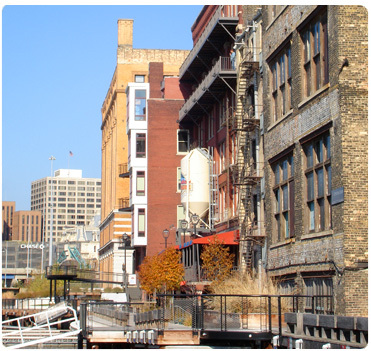 Take a Tour – Miller Brewery, Lakefront Brewery & Sprecher Brewery: Lakefront is hands down the best, most entertaining tour and their Friday fish fry is amazing. Sprecher is great for kids because of the specialty soda tasting and shorter tour. Go Bowling – Koz’s Mini Bowl: A duckpin bowling alley with real, brave people changing the pins. It’s hard not to enjoy your night at Koz’s regardless of background, age and bowling ability. It’s a bar so they card after 9pm if you have youngins’ in tow. Lay Low – Burnhearts: A hipster hideout complete with shuffleboard, pool, and board games on hand and a nice beer variety on tap. DJs are often on hand playing the best of up and coming artists, throwback soul funk, or country classics. Discovery World: This science and learning museum can entertain a gaggle of kids AND keep the adults having fun. The best-kept secret is the aquarium in the lower level. The admission is a little steep, but on March 13th and 17th, wear green and get $5 off. 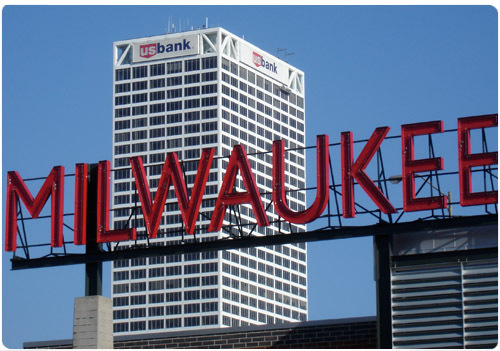 Harley-Davidson: What also made Milwaukee famous! Check out the museum, revel in the biker toughness of it all, and learn about when Harleys used to be bicycles. La Merenda: A tapas restaurant on the near south-side. It fills up early, for good reason: the food is amazing. Try small dishes from Panama to Indonesia and even Wisconsin. Great place for dinner with your sweetheart or with a group of girlfriends. Bryant’s: Off the beaten track, but well worth it. When you walk into the velvet walled lounge with Rat Pack songs playing, it is like a time-warp. They serve all the cocktails you thought were extinct, like grasshoppers, and the intoxicatingly dangerous “Brainbuster”. Honeypie Café: This slightly ironic cafe fully embraces the Wisco-pride with its local brews on tap and generous portions laden with cheese. Get Brunch! For the all day hang out at a euro-style café check out the Belgian-styled Café Hollander or the French style of Trocadero (closed for renovations until April or so). Roots Restaurant and Wine Cellar: One of the most serene views of the city. The menu changes with the season and relies heavily on organic and local food. The Watts Tea Shop: Classic English tea and scones just upstairs from the sophisticated George Watts & Son. 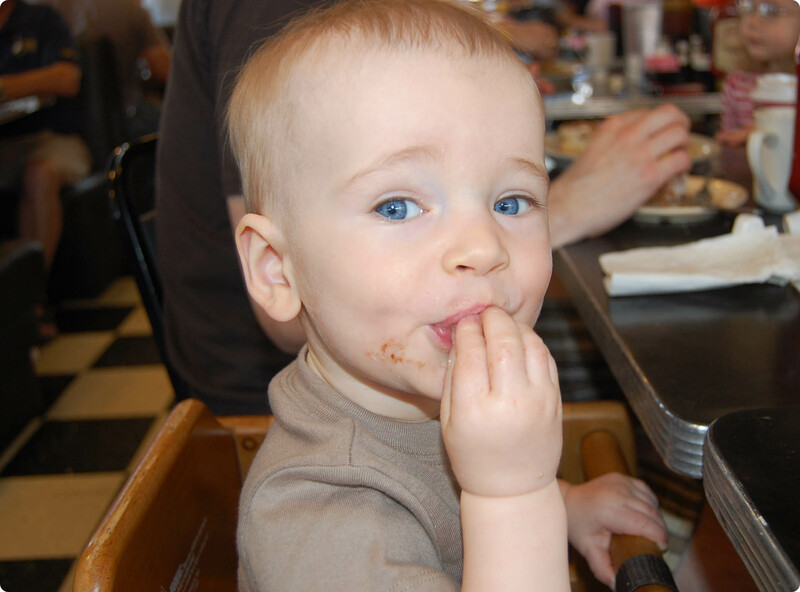 For the kids, Benjamin Button will be coming for breakfast during Easter weekends! Paddy’s Pub: A cozy Irish pub with church pews, fireplaces, eclectic decor, and a long list of signature warm drinks. Aspen seems to have it all. The first time I went, I was expecting to feel very small amongst the rich and famous, but that is definitely not the case. Although it’s normal to bump into Heidi Klum on a hike or Lance Armstrong at the bar, the locals could not be more welcoming and friendly and there are shops, bars and restaurants to satisfy anyone. Make sure you aprés (for the uninformed, this is what skiers do post-skiing, and it usually includes an abundance of food, drink and laughter) at Ajax Tavern in The Little Nell, because the cheeseburger and truffle fries are to die for. Little Annie’s is a great Mexican place and for pizza-lovers, Brunelleschi’s thin crust pizza is absolutely perfect with fast and friendly service. If you’re up for a night out, the historic Wheeler Opera House is a great place to visit for concerts, movies and events. For skiers, you have options. 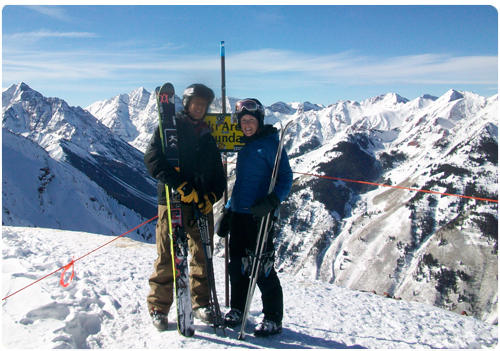 Ski Highlands if you want steep, difficult terrain and plenty of hiking. If you’re feeling brave, “hike the bowl” – it’s difficult but so rewarding (I hiked it with Chris Davenport last month!). Buttermilk is the mountain for the kiddos and Aspen is a good combination of the two. The shopping won’t let you down either with everything from Theory, Burberry and James Perse to Gap. Vail is world-class skiing at its best. And now that our very own Lindsey Vonn has won the gold, Vail has even more to brag about! Fuel up at Vendetta’s for pizza – you can sit down or just walk in and grab a slice, Sweet Basil for amazing modern American dining or Sonnenalp (Cameron Diaz’s hangout) for burgers and the mudslides. 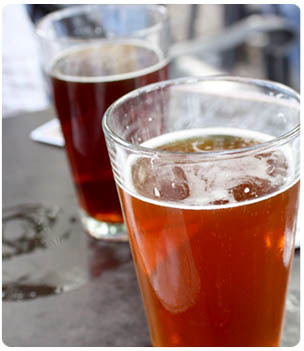 For aprés, including great music, try The Red Lion, The George, The Tap Room, or Los Amigos. If you can get a seat on the patio at Los Amigos, it’s extremely entertaining to watch skiers make their way down a steep run called “Pepi’s Face,” which is 100% ice and people fall 100% of the time! 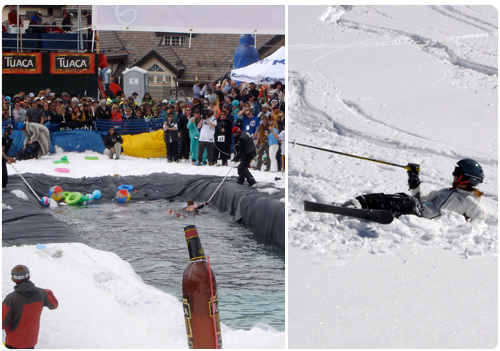 Vail seems to always have events going on, such as their annual spring Pond Skimming competition (Watch the video). 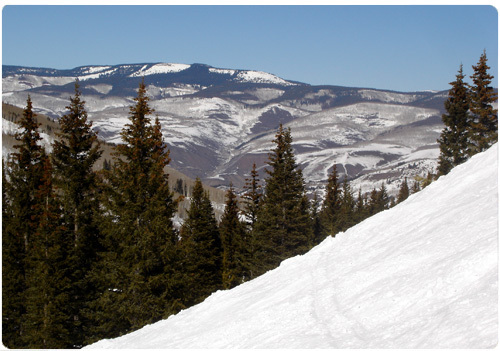 If you chose Vail as your skiing destination, I promise you’ll leave happy. You walk through the village, skis in tow, headed to the chair lift. 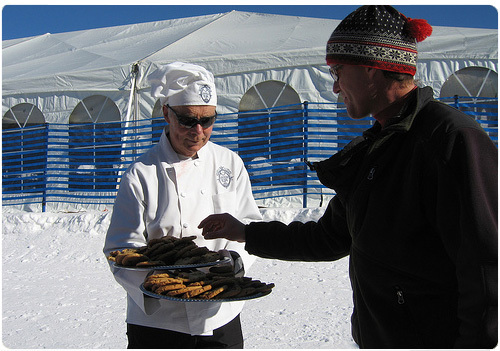 A friendly volunteer brushes by holding a plate of warm (and free) chocolate chip cookies. You are about to spend the day skiing – one cookie won’t hurt so you grab it right before you step onto the outdoor escalator that effortlessly transports you up one level to the lift area. Jump on the lift and head over to the Birds of Prey area, famous for its World Cup downhill course. The three chairlifts feed all types of terrain – greens, blues, blacks and beyond, which all funnel into one meeting area, so your group never gets separated. WP is ideal for families. They cater to all levels of skiing and have wonderful programs and ski school for children, allowing Mom and Dad to enjoy their time on the slopes. A part of the mountain called Mary Jane is a favorite for moguls. Not into the downhill scene? Just past Winter Park, in Tabernash, CO, you’ll find a quaint little ranch called Devil’s Thumb Ranch. 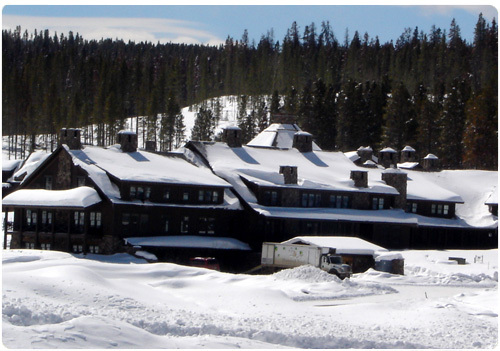 This place is known for its expansive Nordic center and miles upon miles of snowshoe trails. Cross-country ski or snowshoe over to the horses to say hello or trek up the hills for an extra tough workout. When it’s all over, relax at the Ranch Creek Spa. Devil’s Thumb is a renovated and actually working ranch. It has two restaurants: the Ranch House for special occasions/foodies, and Hex’s Tavern, which is more casual but still a cut above anything you’ll find around town. Choose between staying in the main lodge or your own private cabin in the woods, complete with a wood-burning fireplace and fresh firewood delivered to your stoop each morning. I’ve stayed in both places and neither one disappointed. The service at DTR is impeccable and the décor is second to none with wooden cowboy hats and boots lining the hallways and deep leather seats welcoming you at every fireplace. When I build my mountain dream home, I will be hiring the DTR design team! Sometimes described as the “anti-Vail,” Steamboat is welcoming to say the least. They aren’t going for glitz and glamour… more like Old West. As you drive into town from Rabbit Ears Pass, you’ll count no fewer than 54 F.M. Light & Sons signs, your one-stop shop for anything Western: cowboy boots, Carhartt jackets, and lifesize cardboard cutouts of John Wayne. Double Z BBQ is the best meat in town and don’t forget to order your meal with a hotlink on the side. Seating is tight, so go with people you are comfortable with! Regardless of where you vacation, Vacation Rentals By Owner is a great option for lodging. You can rent anything from studio apartments to houses that sleep 12-16 or more for a weekend or longer. The houses or condos are always clean, convenient, and well-decorated so that you feel like you’ve escaped the real world and can relax. Prices vary depending on season, but don’t hesitate to negotiate if you’re booking last minute. The key is to book something on the bus route (unless, of course, you’re lucky enough to get a ski-in/ski-out condo!). Over at her NYC-obsessed blog, The Avid Appetite, Rachel Cannon Humiston dutifully reports on New York’s best restaurants and cooks up her own tasty concoctions inspired by some of the city’s finest (rough life, right?). We can’t help but be envious which is why Rachel was the obvious choice to take us through the perfect urban adventure. One of my all-time favorite quotes says it best… “It would be a shame to miss New York in the Spring.” (Bonus if you can guess where that one’s from!*). And it really would. Budding blooms on tree-lined streets, fabulous shopping and outdoor seating at delectable restaurants make spring the best time to visit the biggest city in the world. 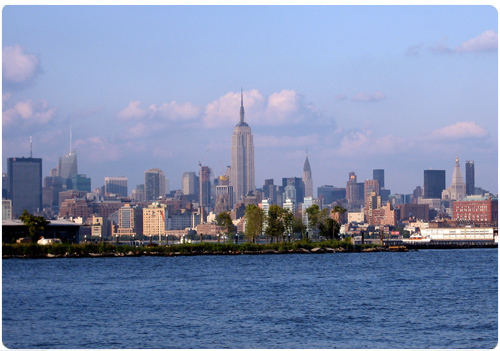 Manhattan has something for everyone, whether a romantic trip with your significant other, a family sightseeing event or a girls weekend getaway. Sure, you can get stuck in the crowds in Times Square and wait in line to get to the top of the Empire State Building, but this guide is for the un-tourists who want to see the real New York, sans crowds and fanny packs…just remember to bring your camera! Though you can’t go wrong with whatever you choose to see in NYC, here are just a few of the lesser known must-see’s. There’s a lot to cram into your getaway, so let’s get down to it! It’s one of Manhattan’s natural wonders; a sprawling, perfectly green park with lush lawns and amazing views extending over 50 city blocks. Sure, you can book a tour or go on a guided walk, but you’re doing things the un-touristy way. Skip the schedule and pick up a map and outline your own tour. Make time for sunning on the Great Lawn, strolling in the shade and, if you’re feeling adventurous, taking a paddle on the Central Park row boats. Oh, and while you’re at it, be sure to stroll down 5th Avenue a la Audrey Hepburn in Breakfast at Tiffany’s. Located below the southern end of the park, it’s the home of truly fabulous flagship stores including Henri Bendel, Saks Fifth Avenue, Tiffany & Co, and Bergdorf Goodman, among others. Even for window shopping and star gazing, it’s worth the trek. Scope out the local goods. Score a Broadway show or museum visit on the cheap. This is the one touristy item on the list because a visit to New York without partaking in its cultural offerings would be a major miss. If you’re open to seeing any show available, visit TKTS in Times Square for significant discounts within hours of the show. Museums like The Morgan Library & Museum and the Museum of Modern Art (MoMA) offer free admission on Friday evenings. Eat without spending a fortune and have dinner in Hell’s Kitchen or Greenwich Village. Not only are these neighborhoods a hot spot for young adults, they boast a plethora of hole-in-the-wall restaurants and bars, which are really the best kind. After all, Manhattan is about great food and it doesn’t have to come with an outrageous price tag. 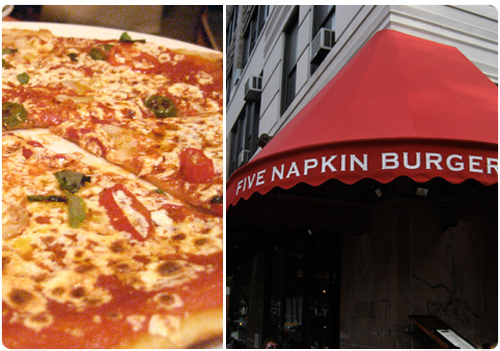 Whether rustic Italian fare at Cara Mia or a juicy diner-chic burger at Five Napkin Burger, you really can’t go wrong. Looking for something in a low-key neighborhood? Try Cowgirl, Keste or Otto Enoteca in Greenwich Village. All of these eateries are cozy, chic, completely affordable and over-the-top tasty to boot. After all, you are on vacation! Whether with your man or your best gals, the Meatpacking District is the place to be. Located all the way on the West Side just below 14th Street, what was once exactly how it sounds is now a bona fide hot spot for chic restaurants and bars hidden along the dark, cobblestone streets. A word to the wise, take caution when sporting stilettos. For a real Manhattan nightclub experience, try Kiss ‘n Fly. With pumpin’ music, fun lighting and dancing until the wee hours, it’s sure to be a night to remember. Looking for something a little more low-key? Have a glass of wine at 675 Bar, an underground cavelike bar with different rooms and activities among them including billiards, darts, foosball and a good old fashioned library. Pick up a subway map – Do it like a local and ride the train from sight to sight. This is a one-of-a-kind experience in itself. If you need to hail a cab, remember the movie-style whistle generally won’t work. Instead, find one with its top light on and stick out your arm to wave one down. Do some street shopping – Some of the best jewelry can be found on the streets of New York (literally). A favorite for handmade goods is on the corner of Spring and Mercer Streets in SoHo. 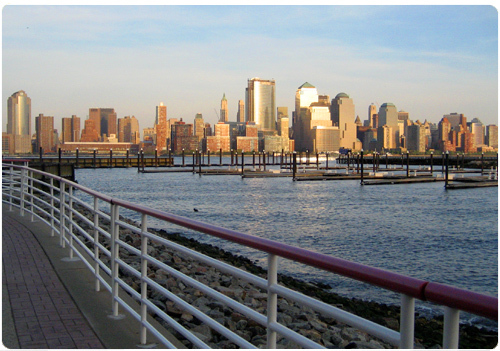 Swing by South Street Seaport – A great view, more shopping, a mini boardwalk, and a sweet photo op to boot! Catch a game – If you’re less into shopping and more into sports, catch a game at Yankee Stadium, home of the World Series Champs (and the best baseball franchise of all time). Pamper yourself – For some pampering along the way a haircut at Bumble & Bumble or a spa session at Bliss just might do the trick. 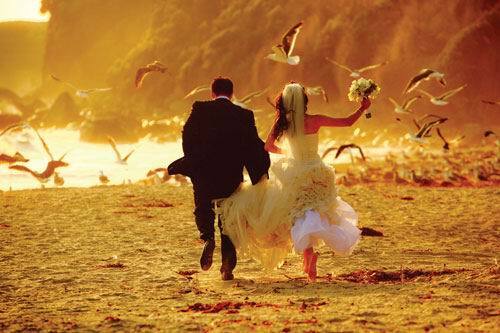 The most important thing to remember is to take stock of what you want to see before you get there and make your plan. In the city that never sleeps, you’ll never have a shortage of fun! *Yup, it’s from You’ve Got Mail, pure viewing pleasure and one of the best chick flicks with a New York City backdrop.